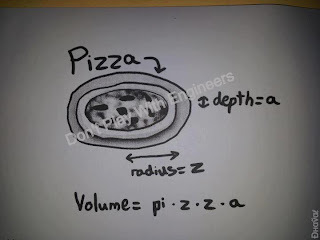 Recently i posted a status on facebook (5th june 2012) which goes as " A pizza of radius "z" and thickness "a" has a volume pi*z*z*a #Funmath ". One of my friends added a comment "nakum sir na profie maa thi copy karyu 6ene..... (i.e. You have copied from nakum sir's profile right ?)" to which I responded "Wait lemme see his profile !" I usually don't add any of my teachers to my profile because i find it quite awkward when their home page has pictures with my inappropriate tags. 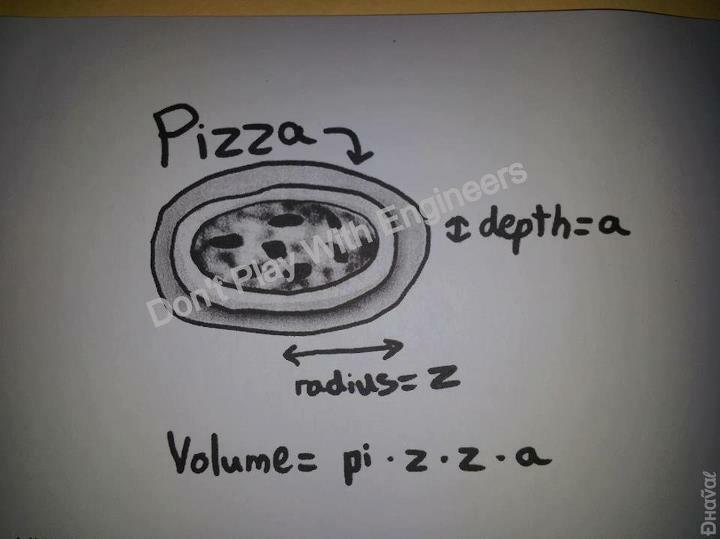 When i visited his profile,it was actually there but in a pictorial form.When detailed,i saw it was shared from a page called "Don't Play With Engineers . . . ././././"(Yes,all new words with first letter capital and 4 dots and 4 ./ combinations). So i visited that page which was a under the BOOK category.The page had all soughts of funny jokes and stress-busters at its best. There is a android app called friendstream which syncs many pages and many accounts all at one place and i usually find good shares over there. When i saw the word COPIED,i was brooding over the difference between copying and sharing and while discussing this with my roommate it turned into a duel related to patents. For example : If i update something which is a sort of invention or a patent item and if i post it on social networking sites,it is obvious to get shared.Some people may also call it COPY for lack of a better word i guess.Now suppose if a viral marketing guy , markets it with just a wee-bit of modifications,would that violate the patents ? Many people would think that mitesh has gone mad but guys if you relate this thing outside facebook,on technical terms,it may cause a huge loss to the original person giving the birth-idea.It can also be discussed in terms of linux and windows but that would be a headache to do here. In today's world,any idea has its root in some research or the other in past.If this is how it would have been accepted then there would be no inventions and betterment in technology.Only drugs and chemicals produce new and completely original compounds these days. Moral of the talk : The Pdf file defining Patents ACT also has some of the unknown patents violated !